Marble flooring can add elegance to any room in your home. But if you choose to install marble floors, how do you keep them clean and looking their best for years to come? Marble is softer than other stones such as granite or travertine. Because it is less dense, it will more easily absorb liquids and can stain quickly. When you first have your marble flooring installed, be sure to apply a sealer to create an impenetrable shell that will keep the surface shiny and looking good. With this shell in place, you have some time to work with spills and stains before they permanently set in. Also keep in mind that depending on the wear and tear of your room, you may need to reapply sealer on a regular basis. Be sure to speak with your flooring consultant as you have your marble floors installed for guidelines. Once installed, upkeep is easy. Polish Regularly – Marble floors have a shiny look unique in every way. The only way to keep that look is to polish regularly. Polishing your marble flooring will bring out the color of the stone. Get on a regular schedule, depending on the traffic to your room, and keep your floors looking shiny and new for years to come. Clean Spills Immediately – Marble stains easily, and therefore should have any spills wiped up and cleaned as soon as possible. Marble can be sensitive to acidic substances like wine, coffee, fruit juices, tomato sauce, soda, and cleaning products. If spills are not cleaned in a timely manner, you will begin to see the surface dull. Use a Soft Cloth For Cleaning – Leave harsh abrasives and cloths for other jobs; marble should always be cleaned with gentle cleaning products and soft cloths. Use hot water and a formulated stone cleaner for best results. 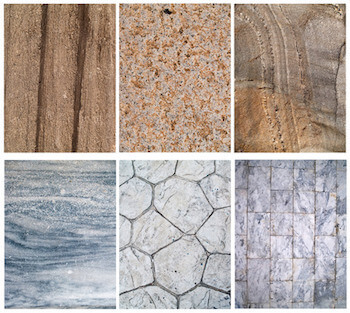 Watch What You Place On Floor – Treat your marble floors like they are fine pieces of furniture. Avoid placing bottles or cans containing acidic beverages on the floor without a coaster for protection. Likewise, avoid potted plants with rough bases. Not only can these items leak onto the floor, but they can also scratch the surface when moved. Dust and Mop Regularly – Use a clean, dry, non-treated mop to clean on a regular basis. Be careful about using vacuums as dirt can accumulate on the wheels and scratch the surface. Also avoid harsh chemicals in the cleaning products as they can wear through the sealer and cause damage quickly. Use Rugs and Mats – If your marble floor extends to outside doors, place mats or rugs near entryways to protect the flooring from damage. Grit and sand on the bottom of shoes can quickly turn into a problem as people walk across your flooring; a mat can encourage people to wipe their feet, and encourage them to take off their shoes before they enter.